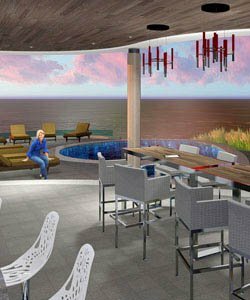 SpaceLineDesign Architects- Visionary Design Solutions for Today's Modern World. Boutique Design and Development firm in Scottsdale Arizona with clientele in over 10 countries. 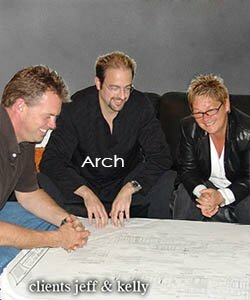 Principal Architect Jeffrey H Page brings thirty five years experience creating stunning modern designs for Custom Homes, Vacation Villas, Boutique Hotels, Luxurious Island Resorts, Office Buildings, Medical Office, Tenant Improvements, Retail and More. we shape the World around You." Design partners Jeff & Mahsa Page have designed all kinds of unique spaces in many parts of the globe and have over eight years of international design experience in Dubai and other countries. We offer design consulting to clients the world over for: Custom Villas, Apartments, Offices and Commercial Buildings- on up to Master Planned Communities and Tropical Island Resorts. Mahsa Page is Director of Interior Design and is also an accomplished Fashion Designer. Call or email us with your project ideas, we'll be happy to offer professional thoughts and planning strategy for responsible, creative building designs, tailored for today's modern lifestyle. Share with us your vision, let us transform the dreams. We take great ideas and make them real, showing full process, easy to understand designs created in full digital 3D and Permit & Construction Drawings developed using REVIT (Next Gen ACAD), and presented through 3D Visualizations, Realistic fly-thrus & Virtual Reality Panoramic Goggle Views. SLD Creates world class visions for complex communities. Full scope, large scale property analysis, Master Planning, Conceptual Evaluations, Statistics plus multi-team Consultant Management for mixed-use subdivisions, commercial office parks, private islands and more. Bring a fresh perspective to your already great portfolio. Offer Your Clients Exceptional Custom Designs, Technically Accurate and Creative Building Plans, now produced in REVIT (next gen ACAD)- virtual 3D walkthroughs, Showcase Beautiful Renderings, Animated Presentations and Instagram Videos of your projects. We are experts in evaluating the possible. Call us to get project assessments, opinions, concept idea sketches, quick color design studies, and many other technical and creative design services to augment your offerings of value to clients. 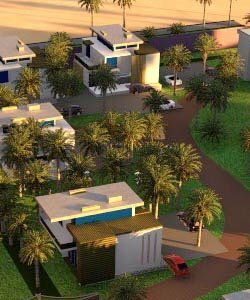 SLD Architects specialize in unique custom Residential and Commercial designs throughout Phoenix Arizona and Regionally, and now offering over 10 years International design experience in over ten countries. 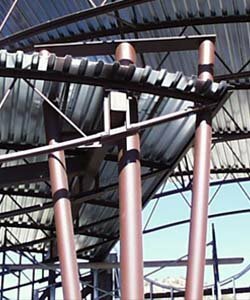 SLD Architects have designed many iconic projects in several global locations including: New York, Phoenix, Seattle and Internationally in Dubai and Abu Dhabi-UAE, plus Riyadh Saudi Arabia, Muscat-Oman, Kuwait, Kerala-India, Bali-Indonesia, Lombok-Indonesia, Dar es Salaam-Tanzania, Abuja-Nigeria, Kinshasa DR Congo, Majorca Spain. We currently have projects in Arizona and UAE. Now Offering Virtual Reality Tours of Your New Architectural Designs!